On November 15th, the New York Times highlighted one mother’s tragic story of her child dying in daycare. After taking paid maternity leave and being denied additional (unpaid) leave–as well as not having the option of quitting her job due to the cost of child care and the potential to lose health care–she ended up sending her son to a highly recommended daycare center near her work where he, sadly, died on his first day there. While it is ultimately undetermined whether her son would have lived had he been under her care instead that morning, it is known that the daycare center placed her baby on his side to sleep (an unsafe position), and was not checked on when he was kicking his legs at one point. When he was checked on, his lips were blue, and he was pronounced dead at the hospital. Regardless of the facts, this sad story is one that this woman will have to live with for the rest of her life, and one that also leaves us asking: Why do many parents find themselves in this position these days? And is it right? Why are so many parents left with the what seems to be a black-and-white choice of leaving an infant with a stranger or not having healthcare (or a job, food, etc.)? It is well-established that parental leave improves infant mortality and helps women remain in the workforce. Another lesson that has come out of this is the importance of ensuring that day care centers where you take your children are regulated, as some operate outside of the licensing scheme. These options are sometimes more viable for parents of toddlers, for whom day care is often more expensive and less available than it is for older children. However, the regulations are absolutely crucial: state services that govern these issues typically not only require that the facility be licensed, but also that the employees are trained, the children are receiving a certain number of meals, the bedding is cleaned, and that there is a particular ratio of employees to children. They also mandate that employees are trained in CPR and preventing sudden infant death syndrome. The Florida Department of Children and Families regulates day care facilities and oversees the requirements that govern their operations. Like other states, this includes requirements that pertain to personnel, health, children’s health records, and penalties for non-compliance. If you are going through any family law issues, know that you do not have to go through them on your own. Having an attorney by your side to advise you of your rights and represent your concerns can be invaluable. At our Fort Lauderdale office, we are here to support you. 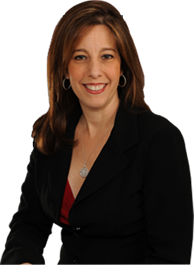 Contact Sandra Bonfiglio today if you live in Florida and need assistance with family law matters.